HomeOpinionsTheresa May To Reveal Brexit Plan Before Triggering Article 50 – But What Is The Plan? Following months of pressure and scrutiny applied largely by the Labour Party, Theresa May has revealed that the Government will reveal its Brexit plans before triggering Article 50 and begin the process of leaving the European Union. Leaving the European Union is likely to affect British businesses and trade in a variety of ways. There are several potential outcomes that are possible depending on Britain’s negotiating stance. One of the main reasons why Britain voted out was to control immigration and block the free movement of people. However, several European figures have stressed that access to the Single Market is impossible if free movement is rejected. Not operating within the Single Market means the UK is likely to have to pay a tariff for trades, and will have to establish a completely new trade agreement. There are stark warnings that leaving the Single Market could cost jobs, with businesses and finance relocating elsewhere in Europe. According to leaked information from the Cabinet, Britain wants to “have its cake and eat it”. The plan, or lack of, is likely to worry businesses and wholesale UK, who want to know in what political and economic system they will be operating with following Brexit. Brexit Secretary David Davis has revealed that the Government’s plan is still being worked on, and maybe that’s the reason that Theresa May has been so tight-lipped on the subject. With the UK seemingly adopting a “hard Brexit” stance, meaning leaving the Single Market, Customs Union and rejecting free movement, it appears that Government is listening to the concerns of the British people regarding border control. Davis has added that the plan will not be made public before February, and says that immigration controls will not be up for debate on the negotiating table, which is potentially bad news for those who want free trade and free movement. Worryingly, major supermarkets have warned that a hard Brexit will put the UK’s food supplies at risk as migrant workers and tariff-free access to the Single Market are essential to the industry. The pact, including Morrisons, Sainsbury’s, Marks and Spencer and the National Farmers’ Union, penned a letter to the Prime Minister, published in the Times. Despite several indicators that have either leaked or diverged from Downing Street, only really the Government knows what the plan is and what post-Brexit Britain will look like. Labour leader Jeremy Corbyn, and several other politicians from the Party, has consistently attempted to compel information from the Government so the public aren’t completely in the dark. Their efforts so far have been fruitless, but did manage to force the Government to reveal their Brexit plan before triggering Article 50. 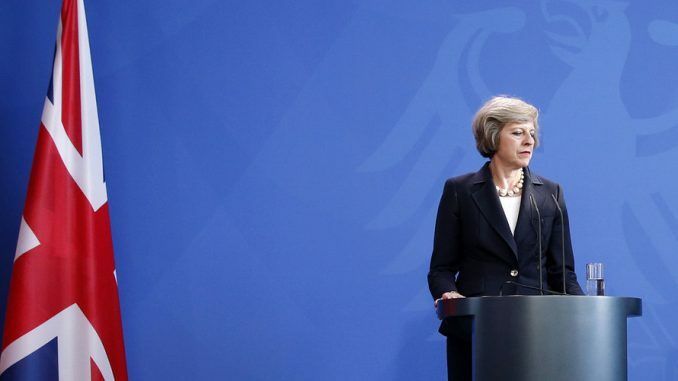 Theresa May is standing by plans to trigger Article 50 in March. The Government is currently embroiled in a legal battle in the Supreme Court to determine who triggers Article 50: the Government or Parliament. It seems ironic that the Prime Minister is working so hard to bypass Parliament, as Parliamentary sovereignty is another key aspect of the Leave decision. Many voters lamented EU laws, and wanted Parliament to be in charge. It will be interesting to see what post-Brexit looks like. The road ahead is likely to be a rocky one. A UK ambassador recently revealed that it could be 10 years until Britain has a trade deal in place.